POSA Tech has partnered with TecMark to handle all backend database management for our C-Store retailers. 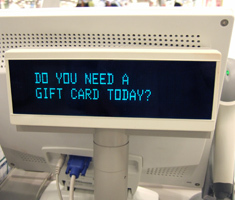 Let POSA Tech create your custom gift & loyalty program today! A customized program is the most effective way to address your loyalty needs. Rely on POSA Tech & TecMark to implement a program that successfully supports your unique business, customer and market situation. Leading companies in many industries feature customized loyalty programs as a highly successful piece of their marketing efforts. Now your business can implement a tailored program that delivers the same powerful results. An evolving, customized loyalty solution allows your business to adapt to changing competitive, customer and market issues over time. Because your business is unique, POSA Tech uses an innovative approach to building a custom loyalty program for you. In a very systematic fashion, we work with you to research all relevant issues, analyze information and recommend solutions. Then we conduct a comprehensive financial review of options using our innovative ROI modeling. When a program concept and plan is determined, POSA Tech helps lead your organization through the critical process of planning the launch of your loyalty program. POSA Tech’s extensive experience in this area helps prevent you from making common mistakes in areas such as training, legal, award liability management and program collateral. Why is POSA Tech the right partner for you? Specialization and expertise go hand-in-hand. POSA Tech specializes in the development and support of loyalty programs for businesses. 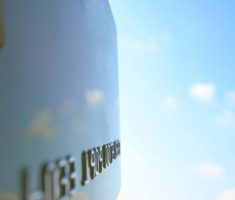 Our highly successful custom loyalty programs are evidence of our expertise. POSA Tech is uniquely positioned to truly work in your best interests. Our software and support systems are extremely flexible to address your changing needs. Your unique program will require little or no new software programming and minimal financial investment from you. Give your customers added incentive to patronize your business with stored value cards from POSA Tech. 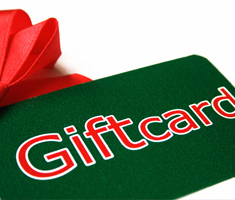 Often used as gift cards, they are an excellent way to encourage return visits. Stored value cards are also valuable for programs like employee discount purchase tracking and promotional reward tracking. Now there’s a better way to approach gift certificates from POSA Tech. Our electronic gift card program makes issuing, tracking and reporting a quick and convenient process. Call POSA Tech today to learn more about our custom gift & loyalty programs!